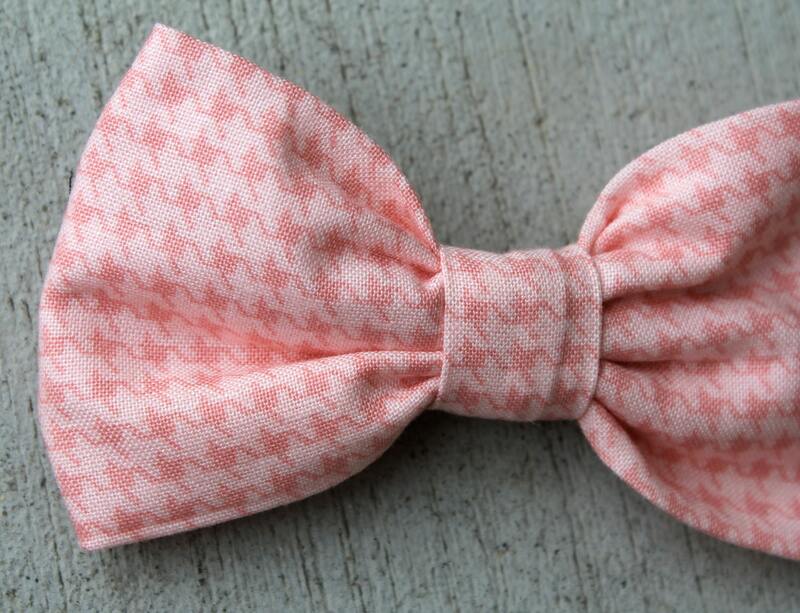 This sweet pink houndstooth bow tie is perfect for a wedding, photographs or any special event. 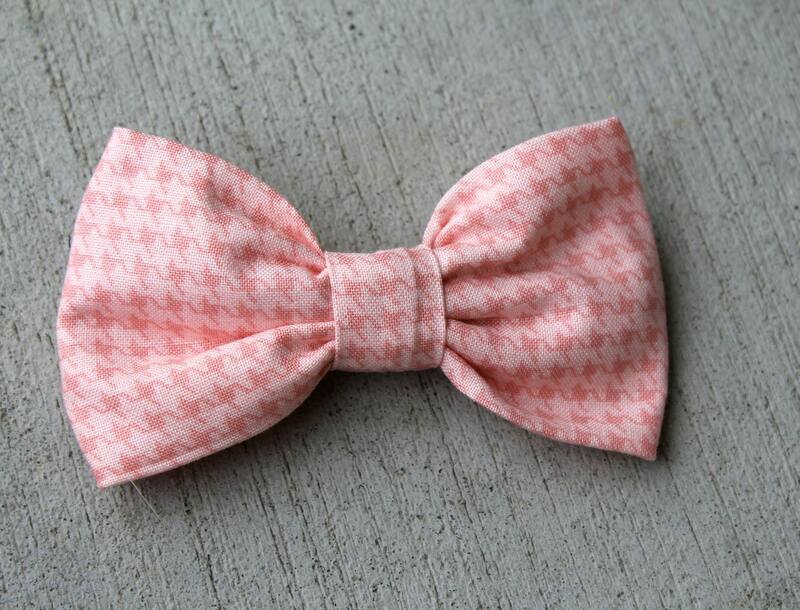 Beautiful soft pink and darker pink hhoundstooth pattern makes an adorable bow tie. This darling tie is great for any occasion, Easter, spring performances, photos, weddings, church or just a fun addition to any outfit. Made of top quality designer cotton. The metal clip makes it easy and comfortable to wear. It will also hold up to lots of wear. Custom orders of multiple ties and various sizes available (including boys sizes.) Just message me!